Score chestnuts and boil till tender. Cut chestnuts and scoop out the flesh. Place in a food processor with honey, vanilla and 2 tablespoons of cold water. Pulse to a smooth paste. 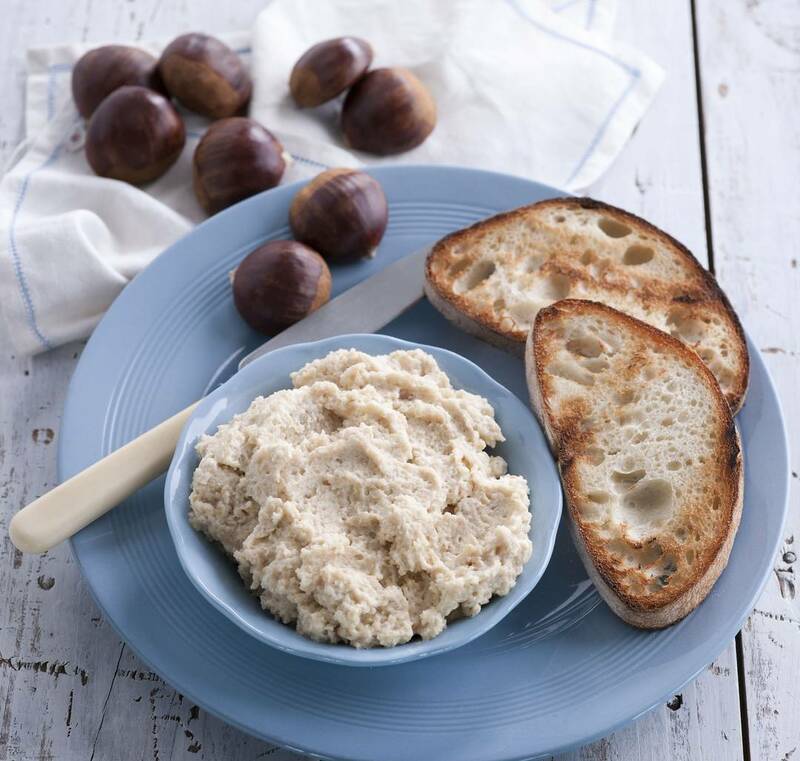 Mix chestnut paste with ricotta. In a separate bowl, whip cream with caster sugar to soft peaks. Fold into chestnut ricotta and it’s ready to use for pancakes, topping for cakes and accompaniment to fresh or poached fruit.